The Thailand Board of Investment (“BOI“) has repealed its investment promotion policy to promote International Headquarters (“IHQ“) and International Trading Center (“ITC“) businesses on 11 December 2018. These two activities have been replaced with a new investment promotion activity known as International Business Center (“IBC“). This is also in line with the Thai Revenue Department’s (“TRD“) policy to promote the IBC scheme. 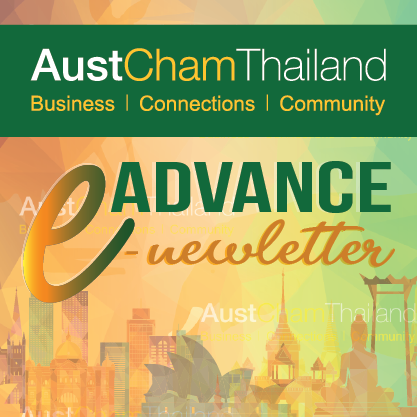 The objective driving such change is to support the government’s policy which aims to transform Thailand into investment hub being able to compete with regional and global players. The scope of activities, conditions and benefits of the IBC regime specified by the BOI are summarized below. In general, an IBC business is considered a service business by the Ministry of Commerce. Therefore, a company deemed as a “foreigner” under the Foreign Business Act would require the following: (i) foreign business license or (ii) foreign business certificate issued pursuant to the investment promotion from the BOI, to operate in Thailand. In practice, the second option is preferable in terms of the application process as the first option requires disclosure of more extensive information regarding the business and generally has a lengthier overall process. Further, once investment promotion has been granted by the BOI, the promoted business will be entitled to certain benefits and privileges as opposed to the first option. A company that wishes to operate the scope of activities mentioned above in Thailand may apply for investment promotion from the BOI as an IBC if all conditions set out in the table below are met. 2. The company must have a minimum investment capital (excluding the cost of land and working capital) of THB 1 million for the IBC investment project. This condition generally refers to investment in machinery (including computers, servers and software) and buildings. Although the BOI strictly requires the applicant to invest in machinery, it does not require the applicant to invest in a building. Therefore, the applicant may lease the building or use its existing building for its IBC operations. However, the applicant must invest in machinery. The promoted company will be given three years from the issuance date of the investment promotion certificate to meet this condition. 6. Machinery that will be used in the investment project which includes computers, servers and software, must be brand new. This refers to machinery that is used to operate the proposed business, e.g. computers that are used to generate reports and documents and conduct day-to-day operations relating to the IBC business. Similar to the repealed IHQ and ITC schemes, the BOI will provide incentives to investors; including permission to own land for IBC operations, work permits for experts and technicians, exemption of import duty on machinery that is used for research and development and training, and permission to take out or remit money abroad in foreign currency. Please note that this change in policy will not impact the business operations of existing IHQ and ITC-promoted companies. Thailand launched the IBC scheme to replace Regional Operating Headquarter (“ROH“) (consisting of ROH1 and ROH2), IHQ and ITC schemes, due to the requirements under BEPS Action 5 on Harmful Tax Practices. Please note that companies can apply for the IBC scheme with the BOI and the TRD separately. The IBC application with the TRD is for the IBC to be entitled to tax privileges, while the application with the BOI is for non-tax privileges, as mentioned in Part I above. The criteria and tax privileges granted to an IBC are summarized below. Tax privileges for an IBC are granted under the Royal Decree No. 674 (“Royal Decree“), which became effective on 29 December 2018. An IBC is defined as a company which is established under the laws of Thailand carrying on the businesses of providing management services, technical services, support services, or financial management services to the Associated Enterprises1, or operating business of ITC. j. Other services as prescribed by the Director-General of the Revenue Department (not yet announced). To qualify for the IBC scheme provided by the TRD, a company needs to submit an application, business plan, list of Thai and foreign Associated Enterprises, and list of expatriates. Existing ROH1s, ROH2s and IHQs may convert to the IBC scheme by submitting an application to the TRD. (iv) Other criteria to be prescribed by the Director-General of the Revenue Department (not yet announced). (i) Reduction of corporate income tax (“CIT“) rate levied to income generated from IBC business (“IBC Income“)4 from current rate of 20% to 8%, 5%, or 3% for the IBC having the IBC Expenditure of at least THB 60 million, THB 300 million, and THB 600 million, respectively. For existing ROH1s that have converted to the IBC scheme, which have IBC Expenditure of not more than THB 60 million in each accounting period, will be applicable for a CIT rate of 8%. Existing ROH2s or IHQs that have converted to the IBC scheme, which have IBC Expenditure of at least THB 15 million but not more than THB 60 million in each accounting period, will be applicable for a CIT rate of 8%. Please note that income from an ITC business is not entitled to the above reduced CIT rates, and will be subject to CIT at the normal rate of 20%. (ii) Exemption of CIT for dividend received by the IBC from the Associated Enterprises. (iii) Exemption on specific business tax for income from provision of financial management services to the Associated Enterprises. c.Interest paid by the IBC, only on the portion of loan borrowed by IBC in order to re-lend to its Associated Enterprises under the financial management services. (v) Personal income tax rate is reduced to 15% for taxable income received in connection with the permanent employment of expatriates by an IBC. The conditions for this particular tax privilege are to be prescribed by the Director-General of the Revenue Department (not yet announced). Tax privileges mentioned above will begin after the Director-General of the Revenue Department has granted the applicant IBC approval. Tax privileges prescribed under items (i) – (iii) above will be available for 15 accounting periods. It is worth noting that if an IBC does not satisfy any one of the criteria mentioned in items B above, tax privileges under items C (i) – (iii) will be terminated only for such particular accounting period, i.e. not retrospectively affecting the tax privileges utilized in previous accounting periods. Nevertheless, if an IBC either does not satisfy any one of the criteria mentioned in items B above for more than one accounting period consecutively, or is not qualified as an IBC as defined under the Royal Decree, the Director-General of the Revenue Department has the authority to revoke IBC approval. In such case, all tax privileges under items C (i) – (v) will be terminated from the first accounting period (claw back). Baker McKenzie will monitor the implementation of the new IBC scheme and will provide regular updates as necessary. (6) A company or a juristic partnership in which a company or a juristic partnership under item (4) above has power to control or manage over. (7) Other services as prescribed by the Director-General of the Revenue Department (not yet announced). 3.Under the Royal Decree, IBC Expenditure is defined as expenses which the IBC pays in order to generate IBC Income. (2) Royalties derived from the Associated Enterprises as a result of research and development conducted in Thailand, regardless of whether the research and development are conducted by the IBC or IBC engages other persons to conduct the research and development. The conditions are to be prescribed by the Director-General of the Revenue Department (not yet announced). Pornapa Luengwattanakit currently leads Baker & McKenzie’s International Commercial & Trade and Trade Competition practice groups in Thailand. Pornapa has extensive experience advising multinational clients in Investment and Trade & Commerce matters relating to establishing a business presence in Thailand; assisting with Board of Investment promotion; ensuring Foreign Business Law compliance; and recommending ideal corporate structures and restructuring activities. Pornapa is exceptionally fluent in international trade law, offering recommendations to clients on international trade agreements, trade regulations, WTO-related matters, safeguard measures, and rules of origin. Next [March 2019] Competition in the Digital Age: Is It Better to Be Small?